Treatment for heart-related illnesses has changed dramatically over the last two decades. Not long ago, it was uncommon to survive a heart attack. Now it's uncommon not to survive a heart attack. Even people who suffer a cardiac arrest have a chance of survival thanks to newer techniques in medicine. Despite these advances, the old adage "an ounce of prevention is worth a pound of cure" should not be forgotten. Hopefully, you will live a life free of heart disease. For the other 81.1 million of us in the U.S. who aren't that lucky, do you know what your risks are? Are you taking measures to help your heart? Do you know the signs of a heart attack or how to perform CPR? Those of us who haven't experienced heart problems take our hearts for granted. This highly efficient organ pumps our blood through our brain, lungs and muscles without needing a reminder. It works while we sleep and it steps up for extra duty when we play on Baldy or climb up the stairs to bed. It doesn't complain when we indulge in a poor diet, cocktails or nicotine or when we fail to treat our high blood pressure and cholesterol—until it's too late. There are many ways the heart becomes sick. Atherosclerosis, or narrowing of the coronary arteries, is one. Atherosclerosis can ultimately lead to a heart attack. The heart's arteries are prone to getting clogged, especially in people with high blood pressure, diabetes, elevated cholesterol or family history of heart disease or those who smoke. A heart attack occurs when one of the arteries around the heart becomes blocked. It used to be that if someone survived the first few days following a heart attack, doctors had nothing to offer other than bed rest. Now we have available clot-busting medications locally, and angioplasty or percutaneous coronary intervention in Twin Falls and Boise, to try to reopen the blood vessel and restore blood flow, thus minimizing the amount of heart muscle that dies. Getting rapid medical attention when the symptoms of a heart attack start is essential to preserve as much heart function as possible. Knowing when to call 911 or get to a hospital for evaluation of a possible heart attack is difficult. Some people experience the classic symptoms of heaviness in the chest, sweating, shortness of breath and pain in their left arm or jaw. However, for some, the symptoms are as vague as fatigue, lightheadedness, fainting or upper abdominal discomfort that could be mistaken for a wide variety of medical problems. Women, who are just as likely to develop heart disease as men, are more likely to have vague or atypical symptoms. St. Luke's is sponsoring the Heart of the Matter this month. Let's use this as an excuse to appreciate the organ that works so hard and asks so little. Let's get our cholesterol, blood sugar and blood pressure checked. Let's talk with our health-care providers about steps we can take to minimize our risks for heart disease. Let's learn the new "hands-only" CPR so that we're prepared if someone we love needs our help. There's no crystal ball to foresee if and when you may experience a heart attack. Knowing your risk factors and lessening the ones that are modifiable will increase your heart's health. The Wood River Valley has many resources available to learn about heart health and supportive programs to minimize those risks. There's no excuse not to take an ounce of prevention. 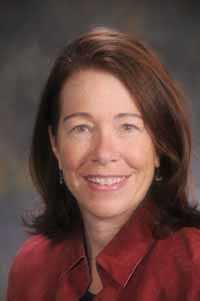 Dr. Deborah Robertson is emergency medicine service chief and medical director for St. Luke's Wood River Medical Center.